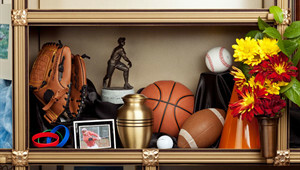 Today many families are choosing cremation as an alternative to traditional burial; and there are several ways to create a lasting memorial for loved ones to visit. 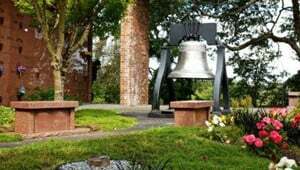 Mountain View Funeral Home, Memorial Park & Crematory offers an extensive selection, including glass-front niches, granite memorial benches, and boulders that have been adapted to hold cremated remains. In our Valley Rose Urn Garden we feature private family cremation estates with a shared bench for your family to rest and reflect during their visits. One of the ways that Mountain View has been able adapt to the changing needs of the community we serve is with our Valley Rose Urn Garden. 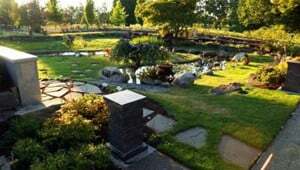 With more families selecting cremation, we have embraced their preference and developed this particular garden with families preferring cremation specifically in mind. 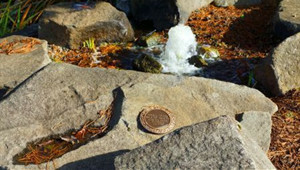 The feature of running water running through the center of the garden gives the area its own unique feel of peace and tranquility. Our cremation specialists will be happy to show you this beautiful garden and the options available to you. Mountain View 's Remembrance Mausoleum glass front niches provide the ultimate in family personalization within an elegant, climate controlled environment. 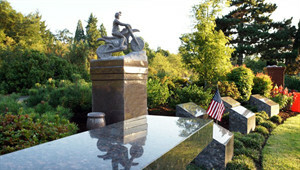 Mountain View also offers a wide array of pedestal memorials. Whether you’d like a butterfly in granite or possibly honor your favorite pass time, our memorial specialists will help you create a tribute your family will be proud of for years to come. “Back to nature” means of honoring a loved one or couple. Mountain View Funeral Home, Memorial Park & Crematory is proud to offer a nature friendly line of cremation boulders to choose from. Cremation benches are a fitting tribute to a loved one who enjoyed the outdoors while at the same time providing visiting family members a place to rest and reflect. Designs range from classic, to artistic or contemporary ensuring you’ll find the perfect option for your needs. One of the greatest benefits cemeteries offer our community is a place to come reflect and connect with our past. Every day we receive calls from family and friends wanting to locate where a loved is buried so they can visit. 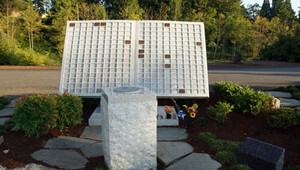 With many people choosing to be scattered these days, our Book of Memories allows for family to honor their loved one’s wish to have their cremated remains scattered and give their family and friends a place to come and visit, to feel connected, or leave a flower in honor of the memories from a life shared.